Antara was located in the Granada industrial district, which initially defined a clear urban barrier on the boundary of the upmarket residential Polanco neighborhood. 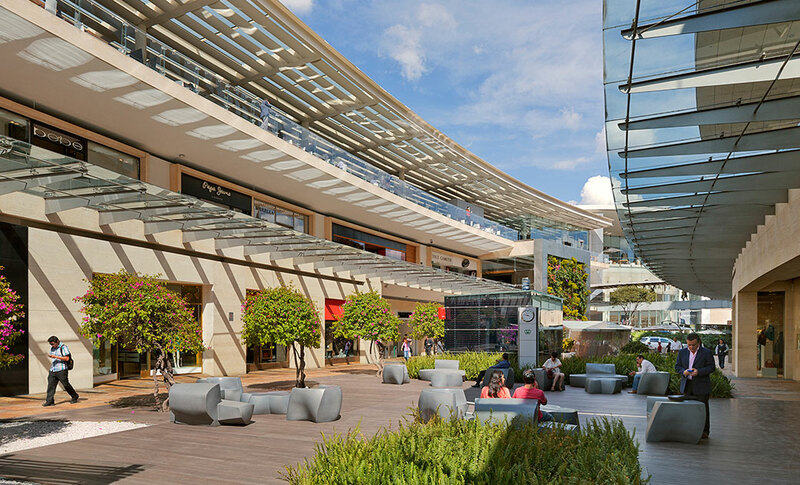 The urban renewal triggered by the first phase of Antara’s masterplan in 2006 was one of the single most significant actions in Mexico City. It elicited a new urban order that completely changed and stimulated the urban profile area, increasing the property values, promoting densification and attracting capital investment to the old industrial zone transformed into a high-quality mixed-use district. Antara, which means “heart” in Sanskrit, represents an evolution that provides a guideline for urban renewal and defines the complex’s design based on an open space that breaks with conventional architectural norms for a shopping center and took the risk of doing without department stores as anchors, with the aim of preserving a more welcoming scale. Antara became a new and reinvented city center integrating public space, green areas, commerce and offices. The design concept for Antara is based on a stroll along a neighborhood street that is safe and calm, with vegetation and bodies of water that give rise to different sensations and uses. The layout highlights the traditional shape of a street with parallel parameters that becomes a sweeping curve, functioning as a compositional axis. 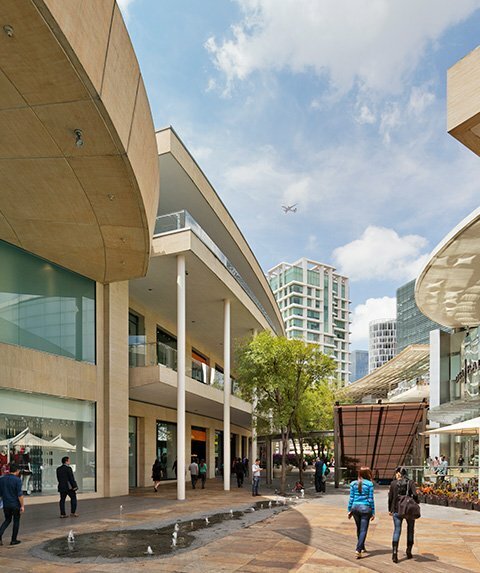 A promenade of shops and restaurants extends from a half-circle, prioritizing space and creating a tangible dialogue with the city while organizing the rest of the design. 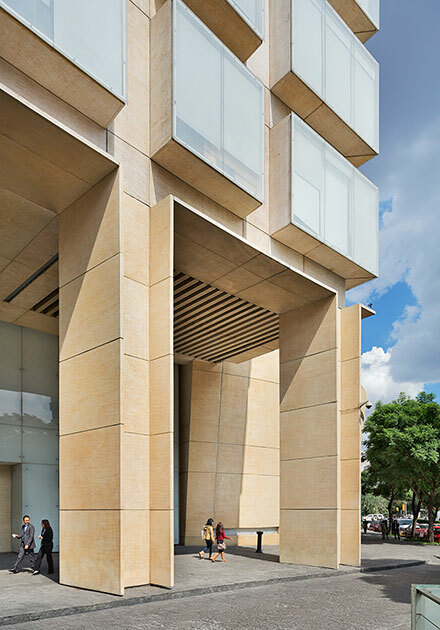 The main floor distributes the spaces and unfolds through fountains that snake between benches and triangular volumes that rise from the floor and indicate main access points to the parking area. The arrangement of the business premises lends spaciousness to the open floor plan and allows the exterior design to be mimicked in the flow of the shops as part of an interior-exterior relationship. The circulations encounter different vanishing points to unveil urban interventions between the trees and green walls. Bridges connect the commercial passage on the first floor, configuring a materiality in which wood and stone textures contrast with glass and metal. 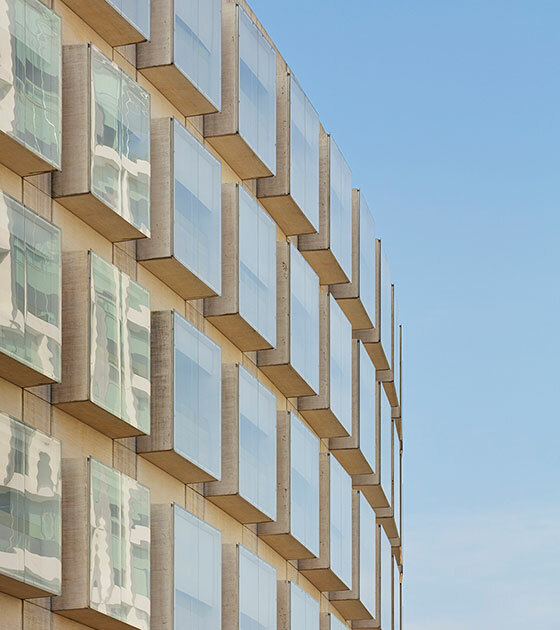 The resulting perspectives reflect an integral design of the finishes in each building element. The second floor is home to the food court, restaurants and movie theaters. This area receives natural light through modular elements by using glass as an essential element, not merely to confer transparency during the day and illumination at night but because of the syncretic feel the courtyard acquires as a result of the materials used. 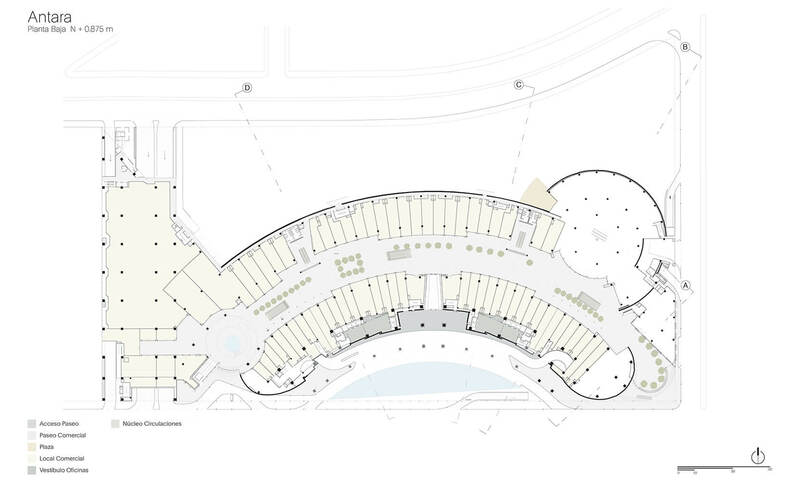 The office building follow the inner street curve in a large horizontal construction of 9 levels, where the first three levels are part of the commercial track and the next six levels are design for corporate use. 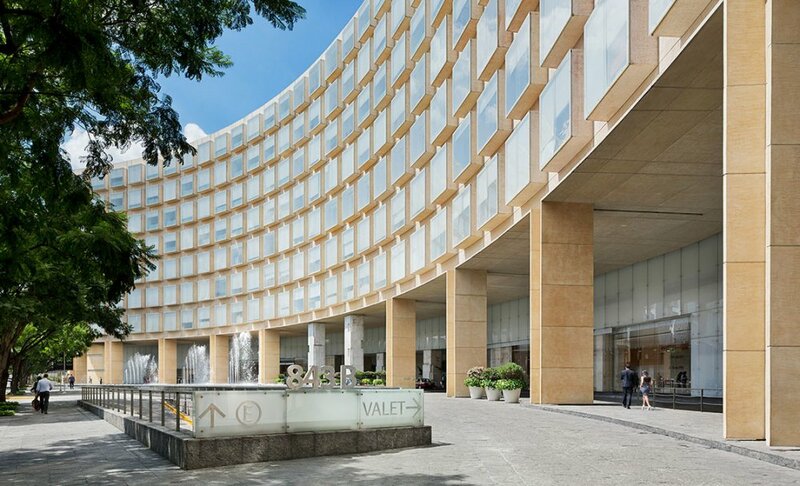 The project’s master plan includes a second stage with two 16-story corporate towers (Antara Corporate I completed in 2013 and Antara Corporate II) and a third tower which probably will host a hotel. The social success of Antara is evident, thanks to the adoption and appropriation of the space by users since it opened in 2006, as well as generating 80 direct and 329 indirect jobs at all socioeconomic levels. Its urban success is also clear to anyone who knew the area and visits it again today for the first time, since Antara acted as a catalyst of regeneration in the zone. The real estate success may be observed in the exponential growth Antara has enjoyed year on year, increasing visitor numbers to 16 million in 2016. Meanwhile, its valuation and the number of stores that have become flagship stores mean that it will expand in 2017, to continue as an exemplary model. The completion of Antara was a statement, and laid a path followed by many. 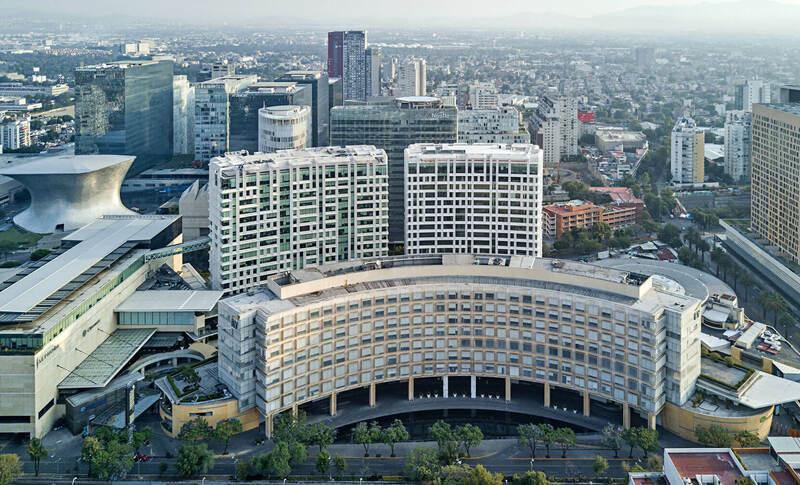 The two most recent and important museums to open in Mexico City, together with residential complexes, major corporate buildings, mixed use buildings and an aquarium have all chosen this former industrial area to develop. Antara was located in the Granada industrial district, which initially defined a clear urban barrier on the boundary of the upmarket residential Polanco neighborhood. 2. Urban permeability and break with physical barriers. The avenues of Rio San Joaquín and Ejercito Nacional that clearly divided Polanco from Granada became poles of urban integration as a result of the presence of Antara. 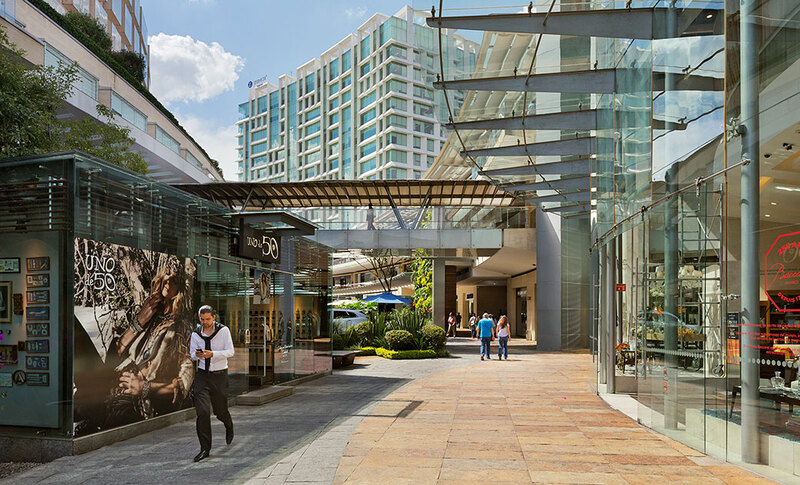 Among many other urban changes, the original “Colonia Granada” changed its name to “Alto Polanco,” introducing greater value and economic opportunities for the area. In the industrial zone of the original Granada district there was a severe shortage of public spaces. 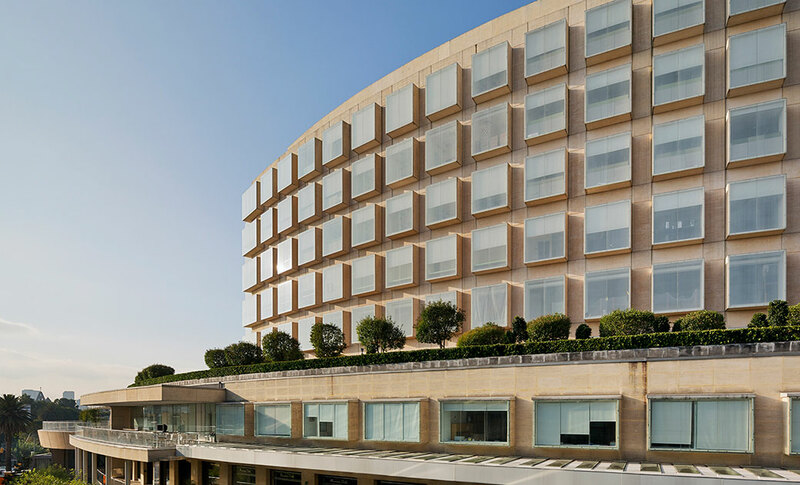 Antara offers a large area open to the public with gardens, plazas, and fountains. Its presence also triggered development around it, with the urban corridor designed along the formed Cuernavaca railroad and promoted by public campaigns. The urban regeneration kick-started by Antara in its initial phase in 2006 was one of the most important interventions in the north-western zone of Mexico City. It established a new urban condition that completely transformed the profile of the area, increasing real estate values, redensifying land use, and strongly boosting capital investment. All this had a positive impact on society by establishing a new, secure environment and a space for socializing, working, and recreation. The complex layout recalls the traditional form of a neighborhood street, converted into a grand curve that forms its principal axis. It emphasizes the open space and vegetation, creates a tangible dialogue with the city, and organizes the rest of the program around the shopping mall, office towers, restaurants, and leisure facilities. Antara was the first shopping mall with an underground parking lot, eliminating the urban perception of a gray space hostile to pedestrians, instead assigning the ground level to pleasant walkways and an abundance of vegetation. With the aim of integrating itself amicably into its surroundings and presenting a clear improvement to the context, Antara of its own accord chose to donated the construction of an underpass for Ejercito Nacional avenue.